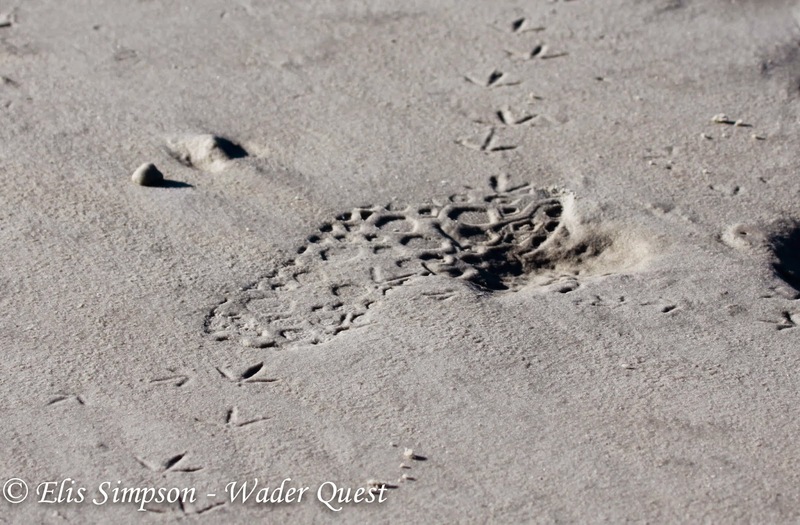 Wader Quest: Habitat loss and waders; the intertidal zone. Habitat loss and waders; the intertidal zone. 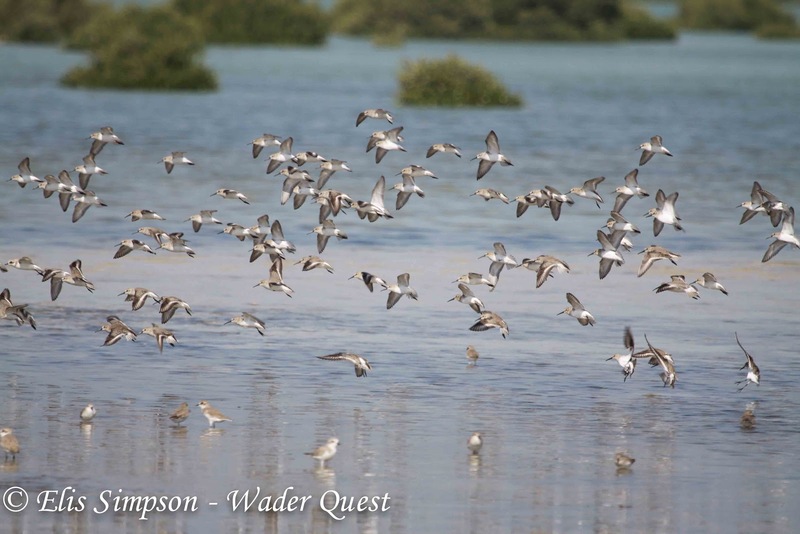 There is a great variety of waders species and families, and these birds have adapted to an equally impressive diversity of natural habitats to eke out a living for themselves. Sadly though, without exception every one of these habitats is under threat from the actions, whether direct or indirect, of the human race. Perhaps the most recognised habitat for waders that readily springs to mind is the intertidal zone in its various guises; that area between the low and high tide marks, the seashore (hence the other popular name for this group of birds; shorebirds). This is one of the most threatened of all the habitats that waders frequent. Often comprising acres of mud the intertidal zone is of all too frequently thought of as a wasteland by those who cannot look at any unsullied natural area that does not have some sort of man-made blemish upon it without thinking it is a waste of space that would be enhanced by the deft touch of mankind. But when we gaze out upon mud flats we are not seeing a huge useless area of nothing but a vibrant, natural community of organisms that play an important part in the food chain. I have talked about benthos in a previous blog but because this community of organisms at the interface of water and land is largely unseen and little known, it is roundly ignored. But ignore it at your peril, as without it the estuary that we are gazing upon really would be a lifeless desert. You would not see any birds there as they are only there to eat the benthos and an estuary without birds and its natural history would be a desolate place indeed. Not a wasteland but a living vibrant community. So what are the threats posed to the various intertidal habitats? Reclamation is by far the biggest culprit. A strange word in my opinion as you would not refer to someone coming and removing half your garden as 'reclaiming' your property; it does not belong to them and never did. In the same way the estuaries and mud flats do not belong to us and nor did they ever, so how is this reclamation? This is plain and simple plunder being couched in a way to make it sound acceptable as though it is redressing some sort of deprivation that we had suffered. Around the Yellow Sea, there is a major catastrophe happening as you read this. The figures show that some 35% of the intertidal zone in that region has already been destroyed, what is left is not safe either, it is all pretty much under the cosh and destined for similar treatment. The Yellow Sea region is a resting and feeding place for millions of waders and other species on migration and, as we have seen in the Saemangeum disaster where thousands of Great Knot were wiped off the face of the earth, these birds will not be able to simply go somewhere else if the habitat is destroyed, they will perish. Great Knot Calidris tenuirostris on an Australian beach, one that got through, but will it get back again? The entire population of Alaskan breeding Bar-tailed Godwits travels through the region on their way north. On their southerly journey they avoid the region by flying direct to New Zealand and Australia, but this strategy will not help them if on the return they are unable to feed and rest where they have done so for probably millions of years. Bar-tailed Godwits Limosa lapponica recently arrived from Alaska in New Zealand. At estuaries across the globe a further problem that is arising is that rivers, further upstream, are being dammed or dredged, the result is that the water flow is affected. A faster water flow resulting from dredging means that sediment being carried in the river is not deposited and flows out to sea where it is lost while damming can reduce the sediment levels; both of these scenarios result in mud flats beginning to shrink reducing available habitat for waders as they erode more quickly than they can build up. Conversely, some disturbance and soil erosion caused by land clearance, forestry and agriculture can cause the over silting of the rivers and the high sediment loads can smother plant and animal life. There is also the threat from pollution from cities, industry, forestry, and agriculture flowing down the rivers and poisoning the estuaries killing the creatures that live there. Eurasian Oystercatchers Haematopus ostralegus fly to roost in the Menai Straits near Bangor in Wales. Aquaculture is another threat. Entire estuaries are given over to farming and harvesting seaweed shrimp and prawns, leaving little room for waders to forage and creating a potential physical hazard with the structures and nets that are employed. Over harvesting of shellfish and other naturally occurring creatures along the shore can also cause major problems for waders. Perhaps the best known example of this is the over-harvesting of horseshoe crabs in Delaware Bay in the USA. The creatures were harvested to be used as bait in such numbers that their very existence was threatened and by dint that of the millions of waders that fed on their eggs when they came ashore to breed. This is considered to be one of the biggest threats facing the Red Knot in the Americas. The extinction of the Canarian Oystercatcher is also thought to be linked to the overexploitation of their shellfish feeding beds on the Canary Islands and as if that wasn't enough, shorebirds themselves are still hunted for the pot and even sport in many parts of the world, both developing and developed. Settlement by humans at the coast brings with it many adverse factors that can change the environment, road and bridge building, sewage concerns, land clearance and the introduction of exotic species and predators that can have a detrimental effect on the eco-system and its denizens. These problems are not confined to developing countries either, there are projects and plans across the developed world that will jeopardise and further reduce habitat in the intertidal zone; plans for tidal energy, airports, marinas and ports among others, none of which can be created without affecting this zone in some way. But it is not just big bad governments and developers that are taking their toll. Ordinary everyday folk just going about their business and even simply enjoying a holiday or break are causing untold problems across the world too. 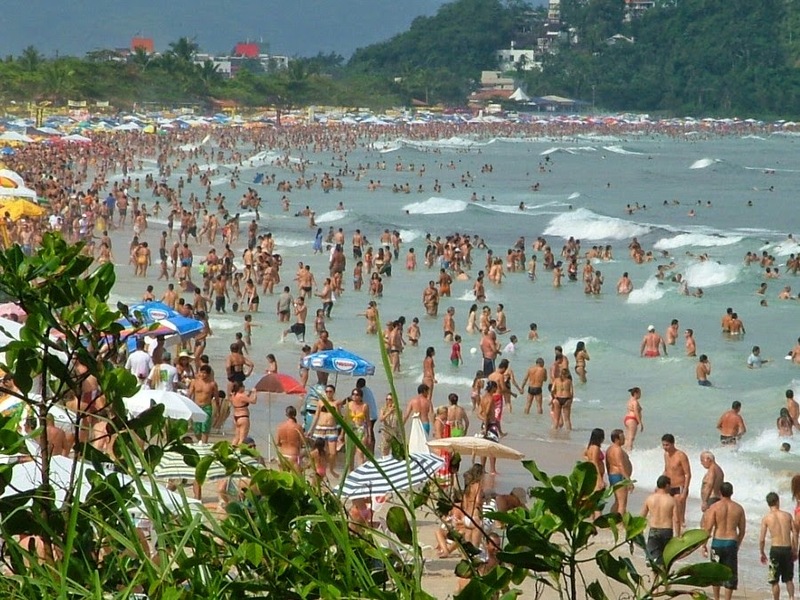 Sandy beaches are traditionally considered to be areas of recreation. We like to feel the sand between our toes and paddle in the gentle surf, but then, so do waders and where we are doing it, sensibly, waders choose not to. Our presence means they are unable to feed, rest and even breed putting individual birds, entire populations and even whole species at risk. Not much room for waders here! American Oystercatchers Haematopus palliatus warily eye passing horses on a Peruvian beach. and perhaps the most common problem we bring to the party is exercising our dogs without having proper control over them. This is of course especially true at breeding season, but it is just as pertinent for resting and roosting birds at other times of year. Uncontrolled dogs cause havoc among feeding and roosting waders, this one in Norfolk, UK..
Natural intertidal habitat is a finite entity upon which countless millions of living creatures rely, without careful consideration and management of our actions we could easily condemn many of them to a fate worse than death... extinction. The human race does have it's uses after all. A Snowy Plover Charadrius nivosus shelters from the wind in s footprint in the sand.